Samsung on Thursday appealed a court decision that banned sales of Samsung's Galaxy Tab 10.1 in Australia due to alleged infringement of patents owned by Apple. Samsung lawyer Neil Young argued during the hearing in Sydney that Justice Annabelle Bennett's decision to ban the Galaxy Tab 10.1 in Australia was based on "irrelevant considerations," and that the judge made "errors of law in her approach," according to The Wall Street Journal. Judge Lindsay Foster granted Samsung's request, and a formal appeal hearing is expected to be held the week of Nov. 21. 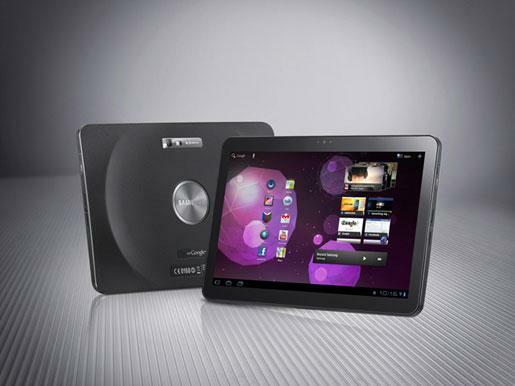 The appeal comes two weeks after Apple won an injunction against the Samsung Galaxy Tab 10.1 in Australia. It was a victory for Apple that proved to be a major setback for Samsung, which has been hoping to release its 10.1-inch touchscreen tablet in time for the holiday sales season. Bennett ruled earlier this month that Apple had presented sufficient evidence of alleged infringement by Samsung on two of its touchscreen- and multitouch-related patents. The ban remains preliminary before a full hearing occurs, but has cost Samsung valuable time on the market. With Foster agreeing to hold an appeal hearing in late November, Samsung still has a chance to have the appeal overturned before the biggest buying season of the year. Earlier this month, Samsung told the court in Australia that missing the Christmas shopping season due to an injunction would cause the company to give up entirely on releasing the Galaxy Tab 10.1. The South Korean electronics maker said the device would be "dead" by the time it launched. Samsung even offered Apple a compromise deal that would allow the Galaxy Tab 10.1 to launch with minor concessions in late September. But, Apple rejected the offer, and opted instead to take its chances with its preliminary injunction request. Apple and Samsung are engaged in a number of patent infringement lawsuits across the globe, though Apple has found more immediate success in seeing Samsung's products banned from sale. In addition to the injunction in Australia, a German court permanently banned sales of the Galaxy Tab 10.1 in September.